It is not often I write a bad review of a book – mostly because I’m really selective about what I read so I don’t waste time on rubbish books – but I downloaded this for holiday, based on Amazon reviews and because it was cheap. I will not use this basis again. The story was set on a cruise and was dull and repetitive (which is kind of how I expect a cruise would be?!?) There was lots of detail about what people were eating every meal – but not in an ‘amazingly described, making you desperate to share such a fabulous meal’ kind of way – more in a complete regurgitation of the menu in list format. It was the same with the descriptions of outfits – BORING. The characters were just quite dull. They were supposed to be celebrating one of their 40ths – but it felt like they were all a decade plus older at least. The vocabulary was often repetitive and it just felt badly written, and the authors obsession with the women burping was just bizarre. It felt like a very poor self published novel – one where every middle aged woman thinks they have a book in them, but some of them definitely shouldn’t bother. 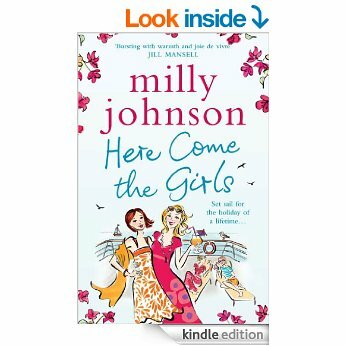 I was stunned that Milly Johnson has written many books and is so highly praised in multiple reviews. Just because you aren’t writing high brow fiction doesn’t mean it should be slapdash and poor quality – lots of other authors in this genre manage to write excellent books.